Given that Ives was already subjected to some horrible asylum experiences, and given the program’s 1890s setting, one could hope that Seward would attempt the less invasive, cutting-edge practice of Freudian psychotherapy. More likely, however, the character will be based in part on Dr. Jack Seward, the insane asylum administrator from Bram Stroker’s Dracula. That also suggests that the notorious vampire, who has been obliquely referenced as an influencer in the shadows, may finally come to the foreground as a character. 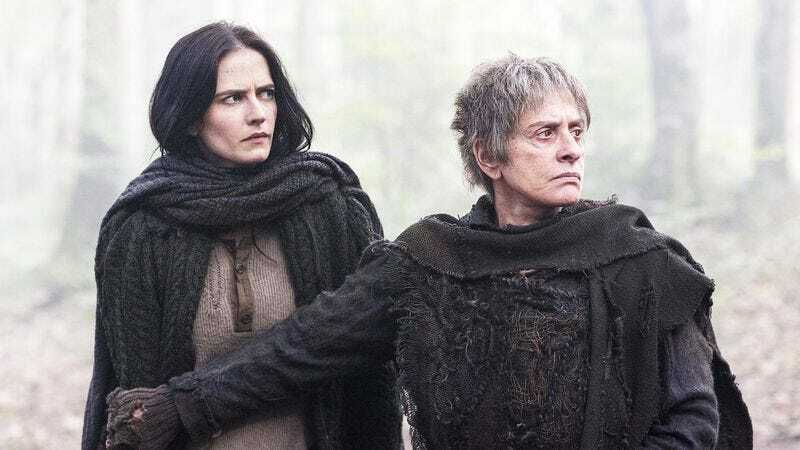 While there isn’t any casting news about Transylvanian counts with Benjamin Button disease, other casting announcements offer Penny Dreadful fans a chance to speculate about next season’s adventures. Dr. Henry Jekyll will be played by Shazad Latif (The Second Best Exotic Marigold Hotel). Wes Studi will play Kaetenay, a Native American who shares a “deep connection” (and probably a touch of lycanthropy) with Josh Harnett’s recently apprehended Ethan Chandler. A number of guest stars will help propel the plot, including Dexter’s Christian Camargo as a zoologist, Sam Barnett (Jupiter Ascending) as Seward’s assistant, and Jessica Barden (The Outcast) as Justine, who Variety describes as an “acolyte” to London’s hottest new power-couple, the undead Lily (Billie Piper) and Reeve Carney’s undying Dorian Gray. It remains to be seen whether or not the growing pool of adventurers and creatures points to a League Of Extraordinary Gentlemen-type society, or just a “Monster Mash”-style hoedown. Penny Dreadful will return for a third season in 2016.